In 1982, the mall's Zamboni was an odd and unusual site to southern shoppers who had never seen (and often never heard of) such a thing. 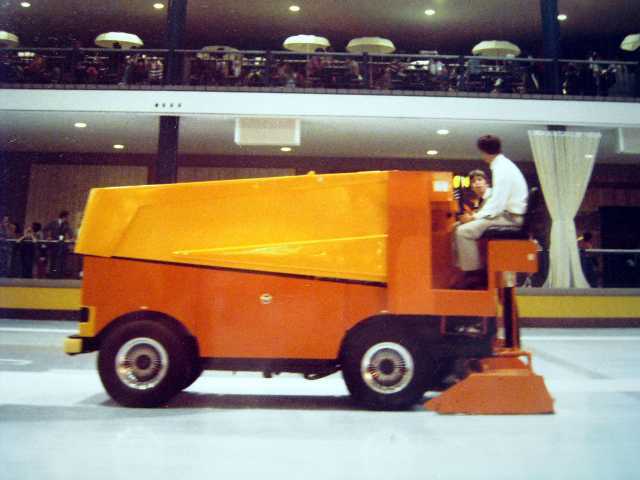 This is the "original" Zamboni according to David Smith, one of our mall story contributors. The Zamboni was invented by a man named Frank Zamboni when he needed a better way to surface ice for skating. Ben Schumin has an interesting photo essay on how the Zamboni works.